This weekend I was supposed to be off to North Yorkshire for a weekend dog agility event. Unfortunately due to a family emergency we were forced to change plans. 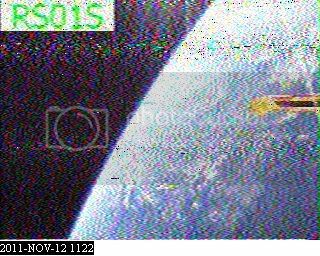 So yesterday I found my self at home and in between doing some much needed odd jobs I had the chance to get out the 2 meter YAGI and capture a couple of passes of those Russian navigation satellites I blogged about last week. 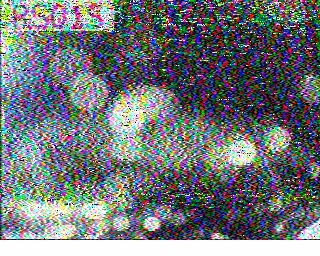 Each pass lasted the best part of 15 minutes from the first faint signal acquisition to finally losing it as it sped out of range. 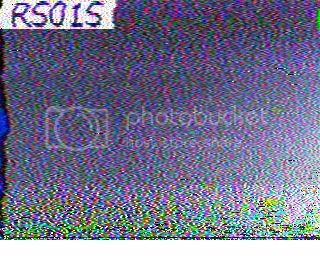 Below is an except from the first pass at around 10:00 UTC. The signal is clear and the different tones used can be clearly distinguished. These captures should prove useful for testing any decoder. It is quite fun standing with the antenna and pointing in the direction where I expecting the satellite to appear and then once the signal is acquired then fettling it during the pass to maintain the best signal strength. At the weekend I attended a dog agility show in the depths of Cambridgeshire, there is always a lot of waiting around in between runs and so I was sat in the foggy car park. To pass the time I had taken along my PRO-26 scanner. I monitored amateurs on GB3PY and GB3OV chatting about the tropospheric ‘lift’ they were experiencing, found a few taxi firms complaining about the fog, some hospital paging but it was pretty boring. I was idly scanning around when I happened across a strange signal on 149.9375Mhz. I could hear a definite doppler shift in the tones so it was a satellite. Checking my pretty useless 9th Edition UK Scanning Directory the frequency was identified as being in the Russian radio navigation and satellite beacon band. I found an excellent thread on the UK Vintage Radio Repair and Restoration Discussion Forum with some information supplied by Alan Cordwell who is/was developing a Java decoder. These satellites are very easy to receive on a handheld scanner though obviously you’ll get better results on an external antenna. The tx power is about 10 watts (+40 dBm) so with a 140dB path loss on an overhead pass (alt = 1000 km) you’ll get about a microvolt in a zero-gain antenna, which is enough to hear. The VHF frequency carries the time data and orbital parameters for the current and other satellites. There is a second transmission on around 400MHz- its in an 3:8 ratio with the VHF carrier frequency. This is unmodulated- i.e cw. It is used to measure the Doppler shift, to determine when the satellite is dead abeam the observer. The transmitted time, and the orbital data, tell you where the satellite was in the sky when that happened- or, put another way, if you know where the satellite is relative to you, then you know where you are- well, you’re somewhere on a line at right angles to the satellite’s track. You then wait for another satellite, and obtain another poition line- and where they cross, then bingo- that’s where you are. Hope that makes sense! Parus could give you a fix in 1-2 hours; and had an accuracy of 100m anywhere on the earth’s surface. Okay that’s poor compared to GPS, but in the 1970’s it was revolutionary. It isn’t just Doppler that determines the receiver bandwidth, although you do take it into account. Most satellites have a much higher FM deviation than a normal narrowband FM transmission- the NOAA met sats are about 19kHz deviation I think- and these nav sats are higher too, but not that much. But for decoding, you do need to resolve the 7kHz second markers which a narrow filter won’t easily do. I would like to decode these signals at some point, providing I can sort out reception. I have found a number of historical guides and projects in addition to the articles linked to in the thread above. 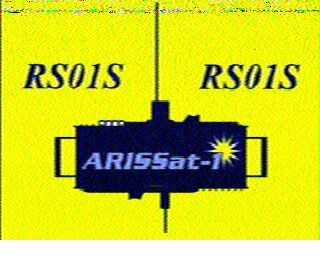 As I mentioned in yesterdays post, this weekend saw a couple of well timed passes of ARISSat-1, today had two which seemed to offer the possibility of decent results. So the setup again was I’d have the PRO2006 in the spare room on the loft mounted discone to capture any SSTV images and the Yagi with the Alinco DJ-X10 in the garden to capture the CW beacon. The first pass yielded rubbish results from both setups, the beacon was very faint (I suspect I haven’t got something quite right for receiving the SSB/CW modes) but as I lost signal at the end of the pass I switched the Alinco to FM on 145.950MHz and got a really strong signal! The decision was made! 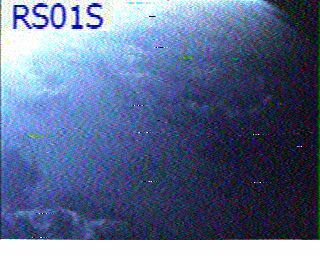 For the second pass I decided not to bother with the beacon and get a FM capture with the Alinco.. well glad I did got a cracking full 5 minutes of voice and three sstv images, including a beautiful one of the blue marble! The normal PRO2006 setup yielded nothing worthy of including here! 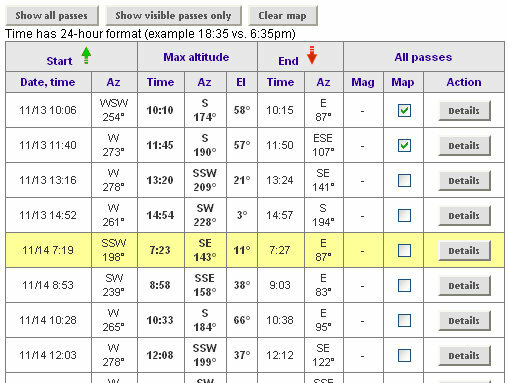 This weekend there are a couple of excellent daytime flybys of ARISSat-1 predicted, passing very high in the sky. Up till now I have been concentrating on the FM transmission on 145.950MHz which carries the voice messages, voice telemetry and the SSTV. 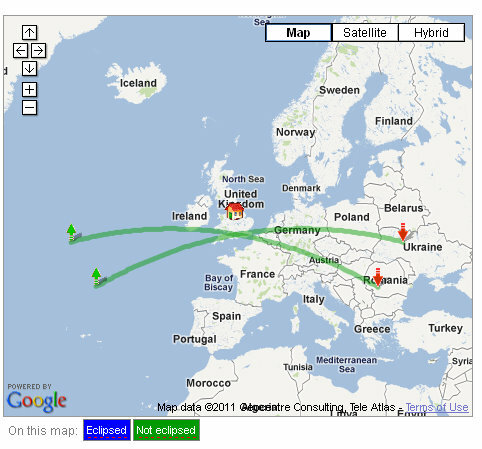 The other signals from the satellite use SSB and CW modulation. 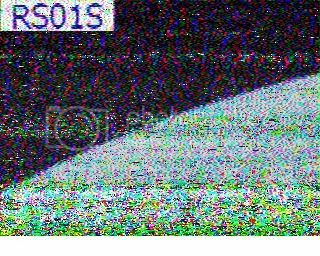 I got a decent signal as you can hear below, and using CWGet managed to decode some of the telemetry and the identification, but the high noise and doppler effect did cause some problems. Can not wait till tomorrow for two almost overhead passes in the morning and then time to watch the Grand Prix! There were a couple of reasonable passes of the ARISSat-1 satellite predicted this afternoon so I decided to try out the nice new InnovAntennas 4 element 144MHz LFA Yagi which my brother won in the prize draw at this years National Hamfest. Well this is how it arrived, a big cardboard tube that has been sitting in my workshop since October. Taking everything out the box, lots of metal work, but no instructions! It was fairly logical to put together, but wasn’t absolutely sure how the folded dipole element went together and the u-shaped end pieces slotted in with no apparent fixings to hold them in place (I assume they are missing along with the instructions) There was also a piece that fitted under the antenna. I am no expert on antenna design so checked the InnovAntenna website but it was no help, lots of graphs and radiation patterns but and not one images of the actual antenna to look at! Looking at a small picture on the Waters and Stanton blog I made a guess as to how it should be put together. I connected up a bit of coax, and screwed it a short wooden post I had. The end pieces of the folded dipole slipped in and seemed to be fairly secure but probably not brilliant electrically, so will need to secure them properly if I ever use this in anger. I used an old Pentium III laptop running Windows 2000 to capture the audio. 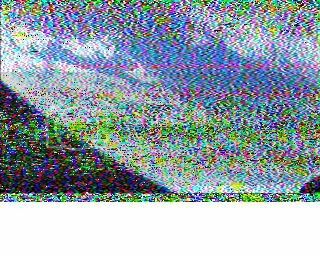 I didn’t attempt any decoding of the SSTV directly just captured the wav files so I could edit and process them later. The laptop has dead batteries but could be powered from the summerhouse mains and so with a few extension cables I could have a relatively clear view of the sky and have access to the scanner to adjust levels and could monitor the audio from the laptop! I experimented with the first pass, at around 13:30 UTC and got a decent signal eventually, but it took a bit of trial and error as the polarisation seems to change during the pass. For the second at 15:14 UTC I set up the camera to record my efforts! The audio in the video is just being picked up by the microphone on the camera so has a lot of background noise, but as you can hear it was at times a fairly strong signal! I had my usual unattended setup going in the spare bedroom and got nothing on either pass! 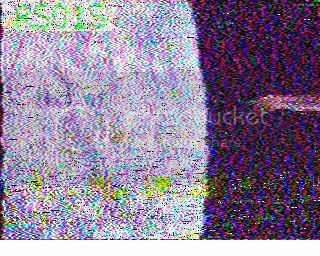 Here are the images decoded from the audio.. slight sync problems which I suspect is the underpowered laptop – I did have it capturing at 44.8KHz, 32 bit resolution, which was probably an overkill in hindsight! But on the whole it was a fun way to spend the afternoon with some nice results. Yet another picture from space! 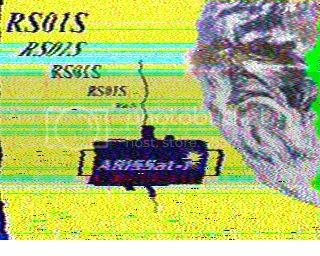 ARISSat-1 is getting nearer the atmosphere but is still functional and the orbital passes have moved back into daylight over the UK so set up the gear again this week to try to get some more SSTV images. Results have been a bit poor, but did get the back end of a very nice image this afternoon clearly showing some cloud formations in the atmosphere. Oh and as I threatened too I have joined AMSAT-UK, now just saving up for my FunCube Dongle.